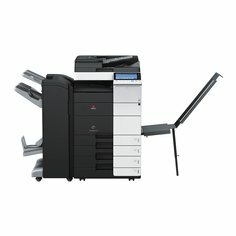 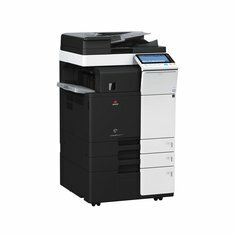 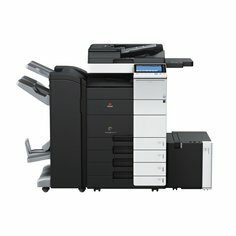 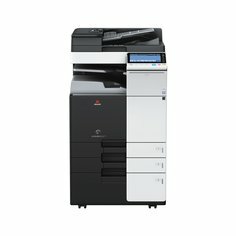 Olivetti enhances its A3 colour offering with the new d-Color 452plus/552plus: a cutting-edge line of products offering an output of 45 to 55 pages per minute. These models offer advanced features such as: the possibility to print and save Microsoft Office documents directly to and from a USB stick (so that they can be saved and printed on the move); automatic production of professional documents; and remote machine control via an internal web browser. Another ultra innovative feature is the 9″ MULTI-TOUCH control panel, a gateway to the functions of the machine that is more similar to the display of a tablet than to that of a normal MFP. 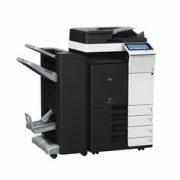 Productivity, however, must also be sustainable, and it is for this reason that special attention has been paid to environmental impact and consumption: the new line significantly lowers energy consumption, in line with the directives of the latest environmental standards.